Who doesn’t love a freebie?! I know I do! So, imagine my excitement when I found out that three National Parks in Hawaii are offering FREE admission for four days in August (Hawaii Volcanoes National Park is even offering an extra free day)! The National Park Service turns 100 years old in 2016, and to celebrate, all national parks will waive entrance fees on 16 special days in 2016, including August 25 through August 28. If you’ve been “putting-off” a visit to one of our National Parks, now’s your chance to make it happen. What do you have to lose when no money is changing hands? Guess what? Not only does the National Park Service turn 100 in 2016, but on August 1, Hawaii Volcanoes National Park also turns 100! So, you can take advantage of free admission on that day, as well (Happy Birthday!). And, now may be the ideal time to make a visit to this amazing Hawaii venue. Why? Activity at the park is really ramping-up. According to the park’s website, eruptions continue at Kilauea Volcano’s summit and East Rift Zone. The lava flow southeast of Puu Oo extending towards the ocean remains active and is slowly advancing but does not pose a threat to nearby communities. Even the lava lake at Halemaumau Crater continues to circulate, intermittently spatter, and emit a vigorous plume of volcanic gas. Hawaii Volcanoes National Park turns 100 on August 1, which is why you can also get free admission to the park that day. What does all this mean in laymen’s terms? It means you will likely catch a view of active lava if you visit while the flow continues in this pattern. Keep in mind, lava flows can change direction anytime, so if you want to catch a show, you’ll need to time your visit during an active flow (like now). 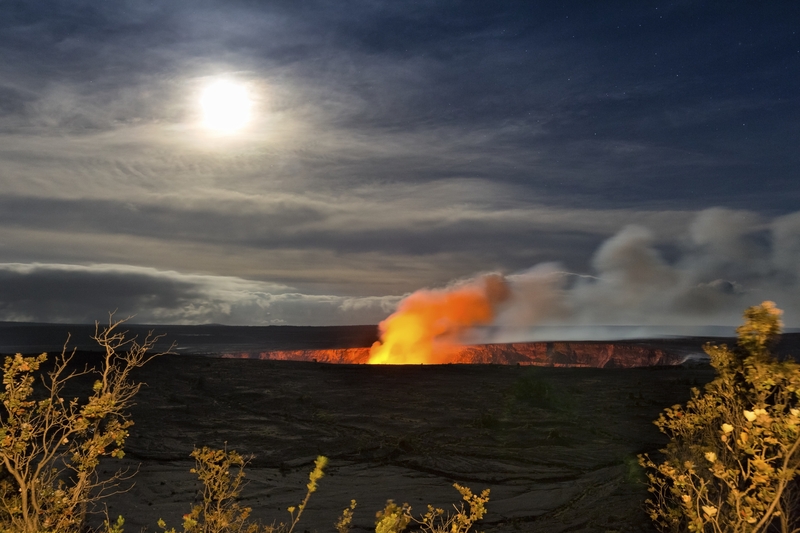 Hawaii Aloha Travel offers a Volcano Sightseeing and Walking Tour, during which you can experience this magical venue with a knowledgeable tour guide on-hand. Or, if you’re staying on Oahu, consider taking the Big Island Volcano Tour, which offers you an opportunity to see the spectacular volcano during a day-trip. Haleakala National Park is considered a rare and sacred landscape to the Native Hawaiians, and when you visit, you’ll likely see why. 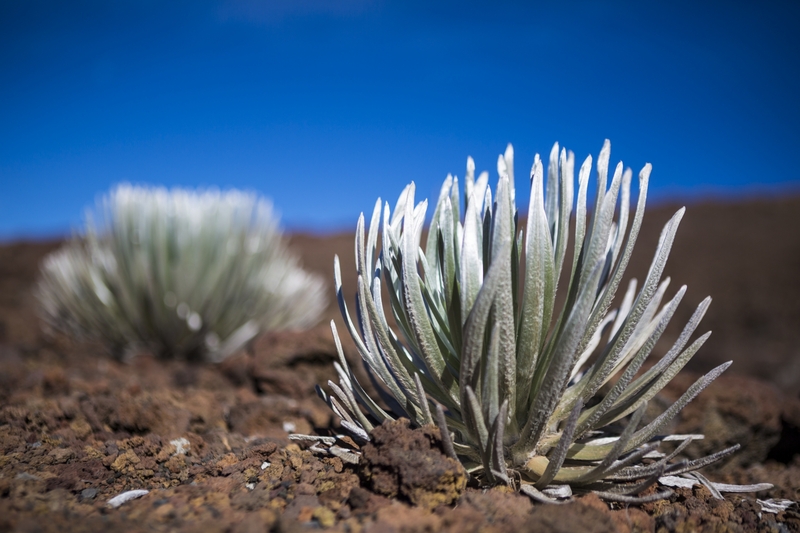 At the summit of Haleakala, you will likely notice the unusual silverswords. With their silver/green offshoots, these plants are a sight to behold. One of the best opportunities to experience the crater through the eyes of an expert is by booking at Haleakala Crater Hike through Hawaii Aloha Travel. During your hike, a guide will help you learn and understand the crater’s history, cultural significance, and endangered species. 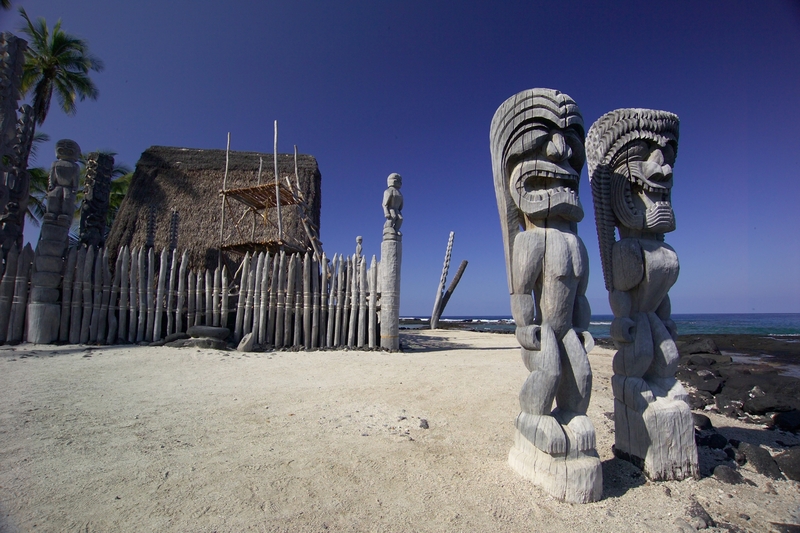 Puuhonua O Honaunau is one of my favorite National Parks, and I would pay big bucks to get in. But, why would you if it were free?! For five days in August, park admission here is free-of-charge, and my recommendation is you take advantage of this freebie, for sure. Puuhonua O Honaunau is actually a “city of refuge” where you could find forgiveness if you broke an ancient Hawaiian law (the penalty was often death, so it was pretty important you come here!). Laws, or kapu, governed every aspect of Hawaiian society. The penalty for breaking these laws was certain death. Your only option for survival is to elude your pursuers and reach the nearest puuhonua, or place of refuge. Poohonua O Honaunau is both family-friendly and easy to access. From Kona, the National Park is about a 45-minute drive. As you enter, the great wall rises up before you marking the boundaries between the royal grounds and the sanctuary. Many kii (carved wooden images) surround the Hale o Keawe, housing the bones of the chiefs that infuse the area with their power or mana. If you reached this sacred place, you would be saved. Today, you can visit Puuhonua o Honaunau National Historical Park, and still feel the spirit of peace and forgiveness that continues to surround and bless this special place. If you’ve been postponing a trip to any of the National Parks in Hawaii because of cost, now’s your chance to see them without forking-over any money. So, enjoy your fee-free August, and happy park-hopping!